Comet 21P Giacobini-Zinner (centre left) passing by NGC7000 the North America Nebula in the early hours of 20th June 2018. This comet should hopefully get brighter as the year goes on. It's certainly small at present! 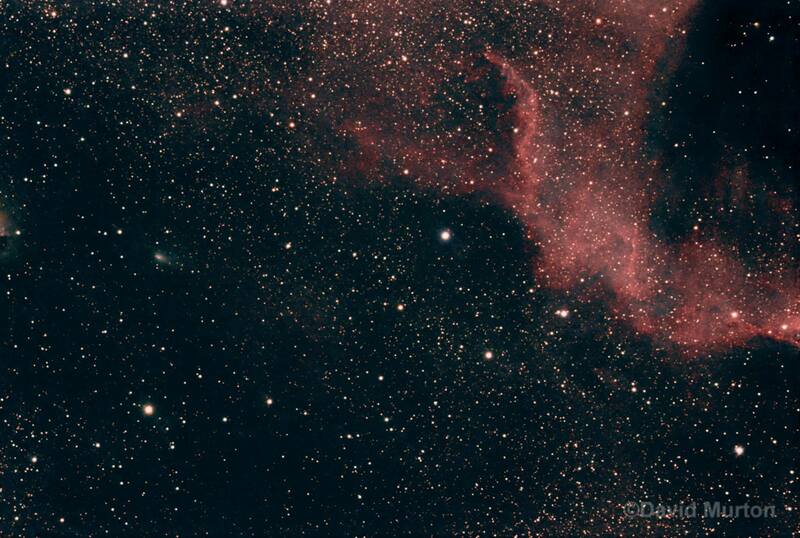 Canon 60Da camera on Skywatcher 190Mn telescope.. 15x480 second exposures at ISO800. Processed in Deep sky stacker and GIMP. Taken from near Ipswich, UK.